Please don’t buy this laptop. Please don’t buy this laptop. I buy this laptop and lost my all money. This laptop has only good configuration. But working is very bad. Please don’t impress by low price and good configuration. After some days you will face problems. 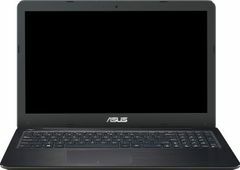 (Only in 5 to 10 days) Format laptop many times. Change windows editions but no results. Asus service is very very very bad. Asus will not replace and refund your money. So complicated process of Asus replacement policy. You will lose your money. Hope it will help and save your money and valuable time. 5. Reboot processing time extremely long.